Announcing the 2019 WHAT Lineup! 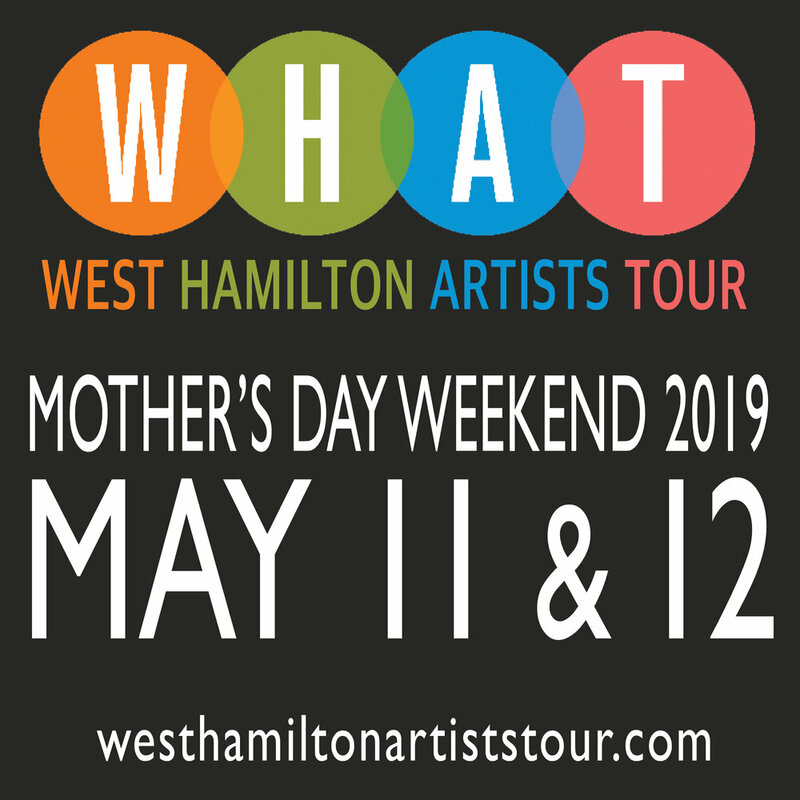 Come join us for our 10th annual tour and visit 17 locations featuring 42 acclaimed artists working in various fine craft and visual art mediums from Hamilton and the surrounding region. Nestled under the Niagara Escarpment in picturesque West Hamilton, 2019 marks the tenth anniversary of this iconic Hamilton event . Make a day of it and enjoy one of the local restaurants or cafés along Locke Street while you visit! Look for WHAT brochures in April and check our website regularly for updates and tour info. A great way to spend Mother’s Day weekend!